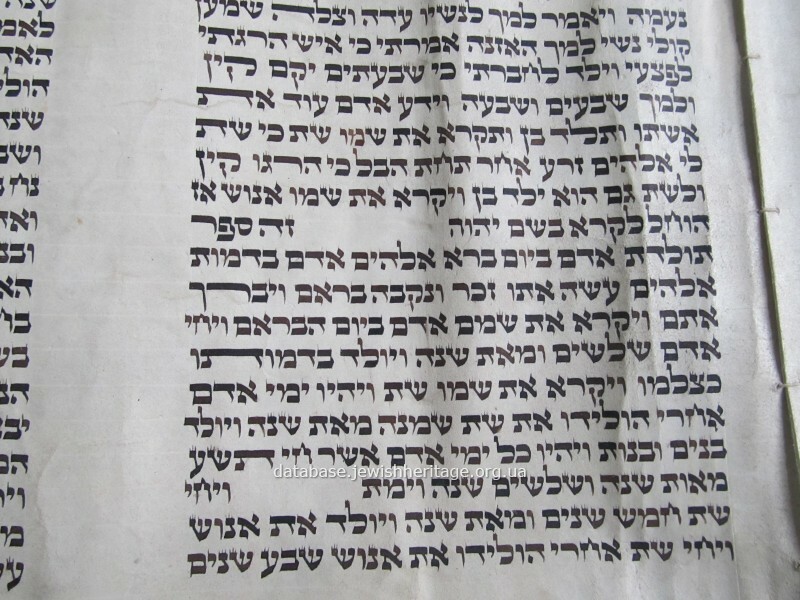 Torah ("Law of Moses", "Pentateuch of Moses") scroll. 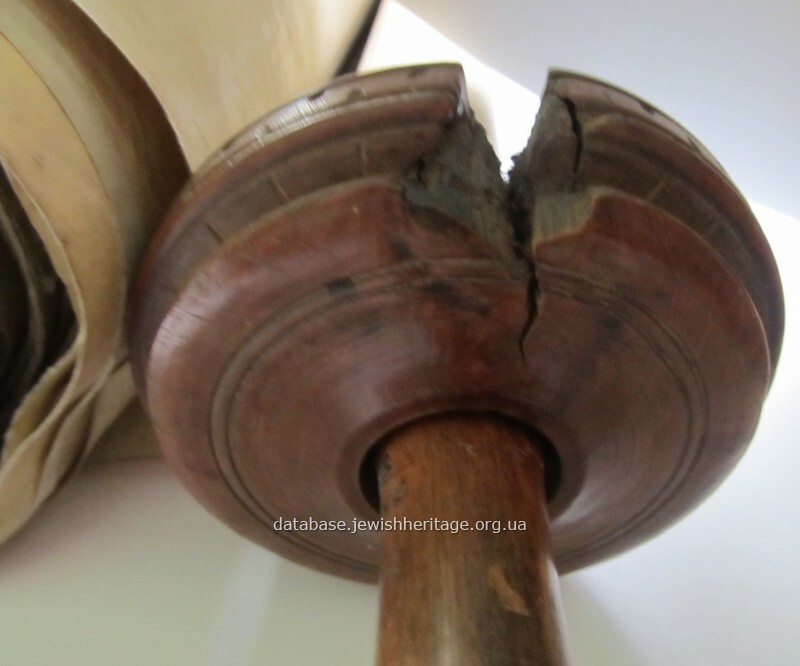 Torah scroll (Sefer Torah) is handwritten parchment scroll with the text of of the Pentateuch of Moses (Torah). 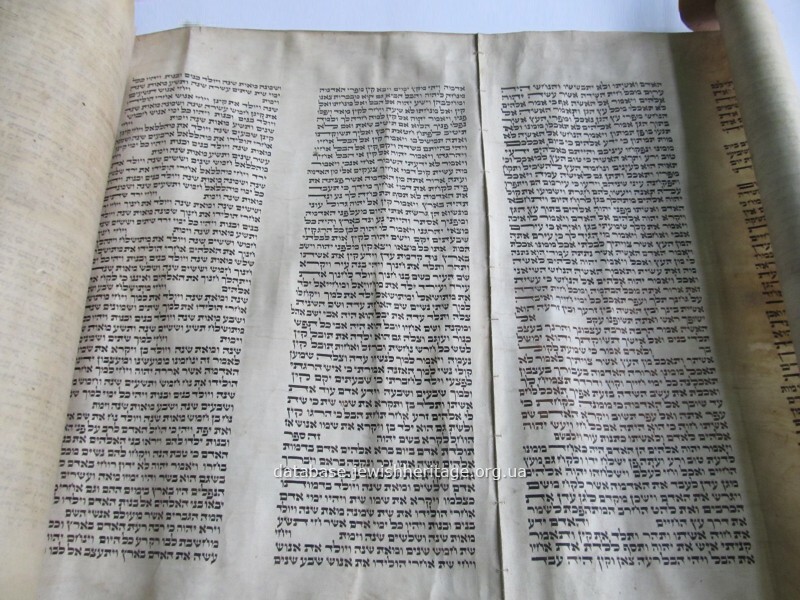 The text of the Torah is written on 53 sheets of parchment in 42 lines in Hebrew. 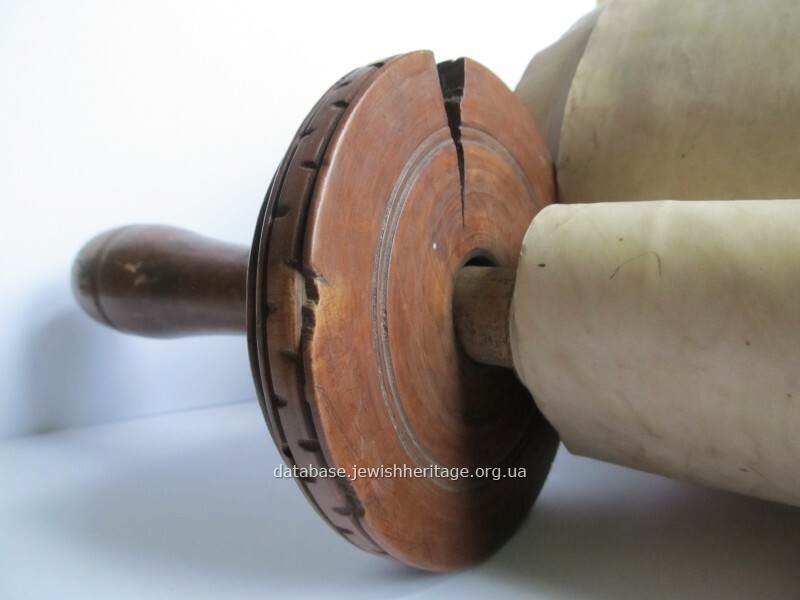 One of the ends of parchment scroll is attached to a round wooden roller (Etz Chaim or Tree of Life), on the ends of which are round carved plates with notches along the rim and from the side of handles. 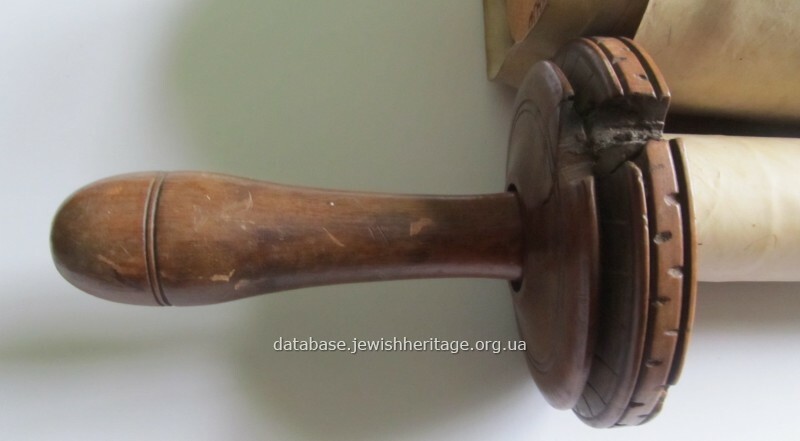 From the old funds of the museum, in 1976 it was added to the register. 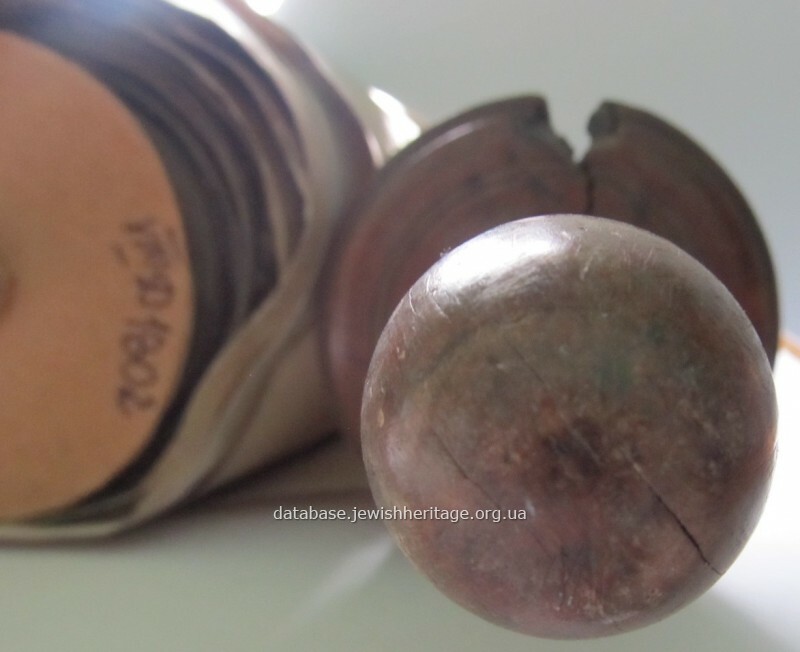 Torah scroll is written from left to right on the parchment from a kosher animal skin resistant with special black indelible ink using quill pen. Every four pages are sewn together to form sections that are then stitched into a scroll. 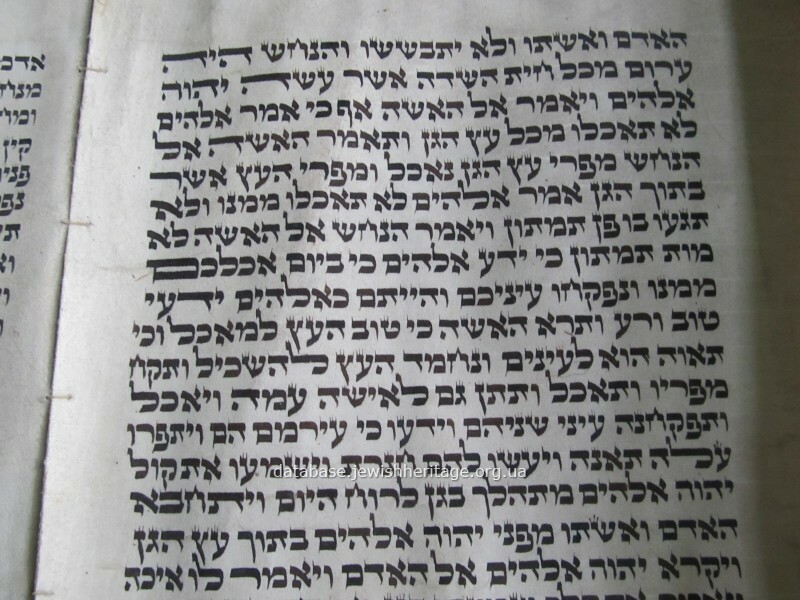 Parchment pages are sewn with special threads made of the tendons of the feet of kosher animals.